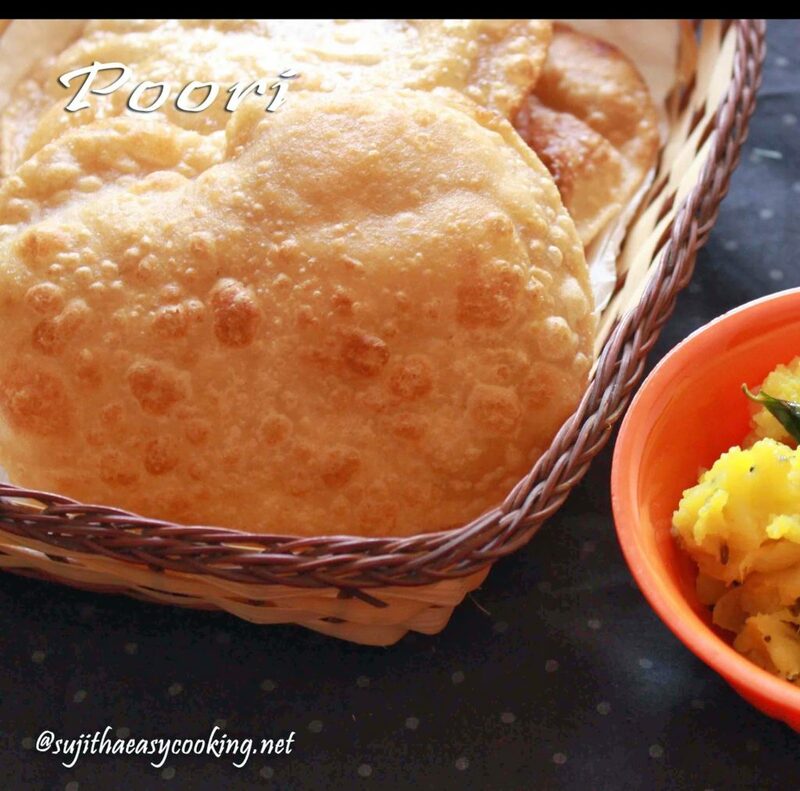 A South Indian Special breakfast poori, basically its a north Indian bread, its much and familiar breakfast to all Indians. Joe loves to have poori much, when ever we go to our home town this will the first day breakfast from MIL, she do with Kothu curry combination, aww that’s a great combo.. i scared to do this in morning time, 😛 its oily know, and now my jess babe need different tiffin box items and started making this pooris in my kitchen too.. moslty pooris will not stay fresh for a long time, it absorbs some oil too.. if you are in diet then dont think of poori, that suits me too:(, its in breakfast, snacks, and in lightfood list by North Indian’s.. lets see the recipe..
* Take Wheat flour, rava, salt in a mixing bowl, add 1/2 cup of water and knead this to a soft dough atlast add the 2 tsp oil and knead well. * Make even size balls, roll this into a thick layer. 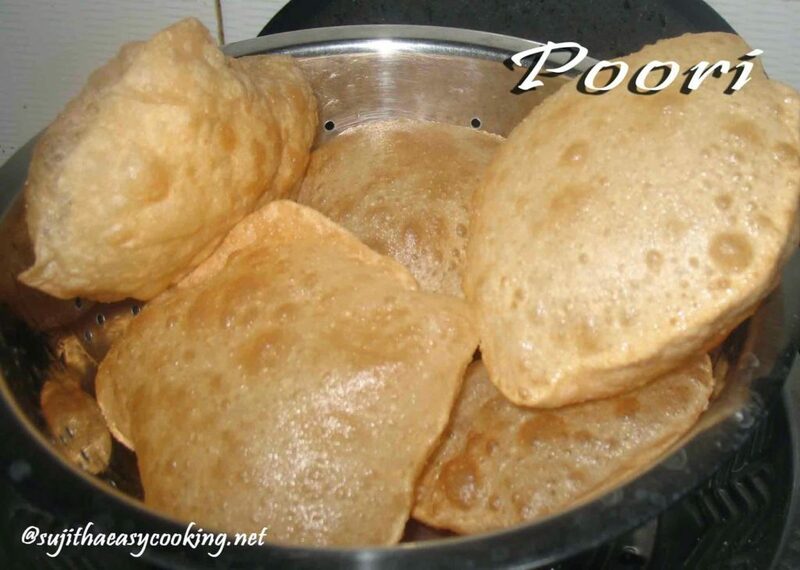 * Heat the kadai with oil, once the oil turns hots keep the flame in high and drop the poori’s , give careful and soft press over the poori..
* It’ll puff up, flip it to the other side and cook till they turns golden brown in color. * Wait for few seconds to turn golden brown color, keep them in oil strainer..
* Adding rava, gives crispiness to the poori’s. * Try to serve the poori in hot.